Jo Malone has been a brand which I have admired from afar for the last couple of years. It has, for some reason, almost felt out of reach. There is no denying that it is a luxurious premium brand in which there is the matching price tag, however, the brand brings with it bespoke fragrances with such quality and sophistication quite like no other. It truly is a brand that I have fallen in love with and that was long before I had a fragrance of my very own. Having tried a number of the scents from Jo Malone it is rather difficult to pick my favourite, I can’t quite express how many times I have visited my local Jo Malone Boutique having sat and tried out as many of the different scents as possible before they all blended into one. Some of my favourites to name but a few are Peony Blush and Suede, Pomegranate Noir, Blackberry and Bay, Wood Sage and Sea Salt and lastly Dark Amber and Ginger Lily. They are all utterly divine in their own unique way; I just wish I owned them all so that I could alternate daily. 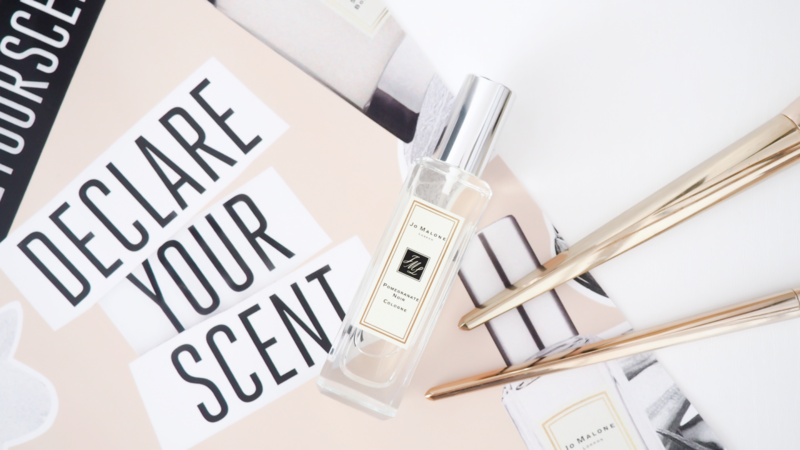 Recently I was kindly offered the opportunity to have my very own Jo Malone fragrance as part of their Declare Your Scent campaign. This features a number of Jo Malone’s best selling fragrances in which you get to decide which scent is most suited to you. I chose Pomegranate Noir because this was the very first Jo Malone fragrance I ever tried, therefore it has somewhat of a meaningful message behind it. This fragrance opened up to me the world of Jo Malone and what they had to offer to women (and men) around the world. It also opened up to me the world of world of luxury beauty and Selfridges beauty hall which I just adore; there really is no place quite like it for a beauty enthusiast. 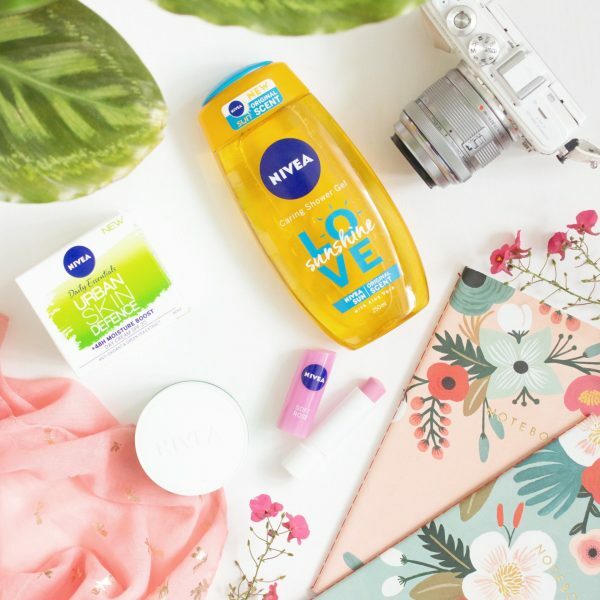 Beauty is of course somewhat a passion of mine, I like and love nice beauty products and I always will. Pomegranate Noir is a deep, sultry fragrance which for me makes me think of late summer evenings. The kind of evenings where it is still warm enough to sit outside with candles burning with perhaps a glass of wine (or two) in tow. It has top notes of pomegranate, heart notes of casablanca lily and base notes of guaiacwood. 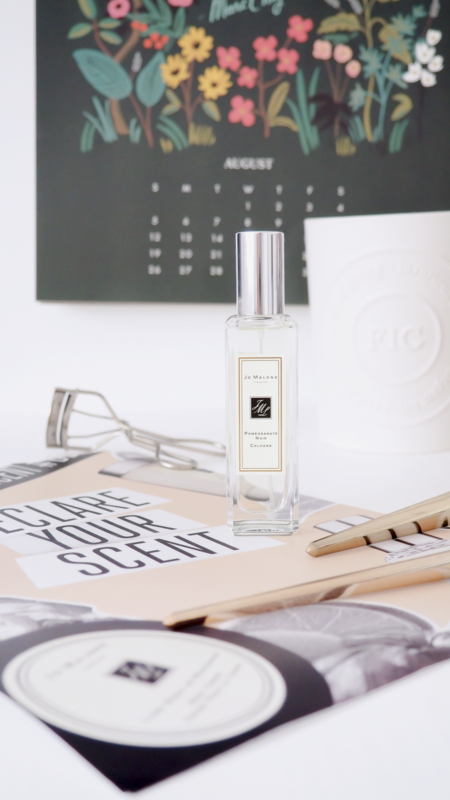 It is certainly one of the darker scented fragrances that I have personally tried from Jo Malone, however when I look at my own personal fragrance collection it does not surprise me that this is one of my favourites. I always go for deep scents, although I am quite partial to a light and floral scent every now and then. What is your favourite fragrance from Jo Malone? Declare your scent in the comments below.